Sara E. Kitaeff joined the firm in 2013 and concentrates her practice in the areas of family law, including pre-nuptial agreements, divorce and child support, as well as custody and visitation modification and contempt actions. Prior to joining Witmer, Karp, Warner & Ryan, Ms. Kitaeff was a Judicial Intern in the Middlesex Probate and Family Court and the Essex Superior Court. Ms. Kitaeff was admitted to the Supreme Judicial Court of Massachusetts in November 2011 and the U.S. Federal District Court of Massachusetts in March 2012. Ms. Kitaeff is a graduate of Boston University (B.A. 2006) and received her law degree from Suffolk University (J.D. 2011). While attending Suffolk, Ms. Kitaeff received the Jurisprudence Award for Excellence in Evidence and was a Research Assistant for Distinguished Professor and Judge, John E. Fenton. 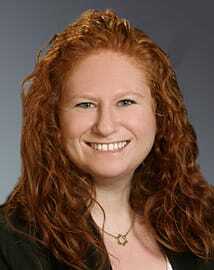 Ms. Kitaeff is a member of the American, Massachusetts and Boston Bar Associations and the Women’s Bar Association. She has authored material published by Massachusetts Continuing Legal Education, Inc. (MCLE) relating to the Alimony Reform Act of 2011. Ms. Kitaeff has received repeated recognition as a Massachusetts Rising Star in Boston Magazine’s Massachusetts Super Lawyers Edition (2014, 2015, 2016 and 2017). She has also been recognized as a Massachusetts Rising Star in the New England's Super Lawyers Magazine, an honor awarded to only 2.5% of young lawyers in Massachusetts. Ms. Kitaeff serves on the board and is the visual arts curator for On With Living and Learning, Inc., a Boston non-profit collective of artists who use art to bring about social change.